Margin of Preference means percentage of tariff by which tariffs are reduced on products imported from one Contracting State to another as a result of preferential treatment. Non-Tariff Measures include any measure, regulation, or practice, other than “tariffs” and “para-tariffs”. Threat of serious injury means a situation in which a substantial increase of preferential imports is of a nature to cause “serious injury” to domestic producers, and that such injury, although not yet existing, is clearly imminent. A determination of threat of serious injury shall be based on facts and not on mere allegation, conjecture, or remote or hypothetical possibility. The special needs of the Least Developed Contracting States shall be clearly recognized by adopting concrete preferential measures in their favour on a non-reciprocal basis. Any other instrument that may be agreed upon. Each Contracting State shall accord national treatment to the products of other Contracting States in accordance with the provisions of Article III of GATT 1994. The tariff reduction by the Non-Least Developed Contracting States from existing tariff rates to 20% shall be done within a time frame of 2 years, from the date of coming into force of the Agreement. Contracting States are encouraged to adopt reductions in equal annual installments. If actual tariff rates after the coming into force of the Agreement are below 20%, there shall be an annual reduction on a Margin of Preference basis of 10% on actual tariff rates for each of the two years. The tariff reduction by the Least Developed Contracting States from existing tariff rates will be to 30% within the time frame of 2 years from the date of coming into force of the Agreement. If actual tariff rates on the date of coming into force of the Agreement are below 30%, there will be an annual reduction on a Margin of Preference basis of 5 % on actual tariff rates for each of the two years. The subsequent tariff reduction by Non-Least Developed Contracting States from 20% or below to 0-5% shall be done within a second time frame of 5 years, beginning from the third year from the date of coming into force of the Agreement. 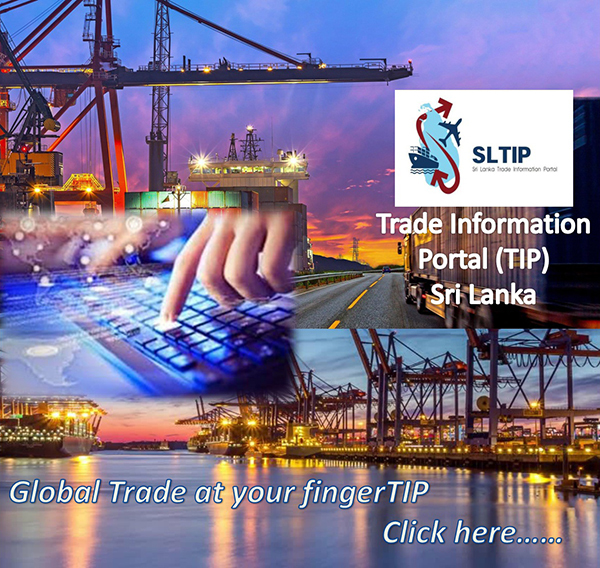 However, the period of subsequent tariff reduction by Sri Lanka shall be six years. Contracting States are encouraged to adopt reductions in equal annual installments, but not less than 15% annually. The subsequent tariff reduction by the Least Developed Contracting States from 30% or below to 0-5% shall be done within a second time frame of 8 years beginning from the third year from the date of coming into force of the Agreement. The Least Developed Contracting States are encouraged to adopt reductions in equal annual installments, not less than 10% annually. The above schedules of tariff reductions will not prevent Contracting States from immediately reducing their tariffs to 0-5% or from following an accelerated schedule of tariff reduction. The Sensitive List shall be reviewed after every four years or earlier as may be decided by SAFTA Ministerial Council (SMC), established under Article 10, with a view to reducing the number of items in the Sensitive List. The Contracting States shall notify the SAARC Secretariat all non-tariff and para- tariff measures to their trade on an annual basis. The notified measures shall be reviewed by the Committee of Experts, established under Article 10, in its regular meetings to examine their compatibility with relevant WTO provisions. The Committee of Experts shall recommend the elimination or implementation of the measure in the least trade restrictive manner in order to facilitate intra-SAARC trade*. Contracting Parties shall eliminate all quantitative restrictions, except otherwise permitted under GATT 1994, in respect of products included in the Trade Liberalisation Programme. Notwithstanding the provisions contained in paragraph 1 of this Article, the Non-Least Developed Contracting States shall reduce their tariff to 0-5% for the products of Least Developed Contracting States within a timeframe of three years beginning from the date of coming into force of the Agreement. Simplification of procedures for business visas. The Contracting States hereby establish the SAFTA Ministerial Council (hereinafter referred to as SMC). The SMC shall consist of the Ministers of Commerce/Trade of the Contracting States. The SMC shall meet at least once every year or more often as and when considered necessary by the Contracting States. Each Contracting State shall chair the SMC for a period of one year on rotational basis in alphabetical order. The SMC shall be supported by a Committee of Experts (hereinafter referred to as COE), with one nominee from each Contracting State at the level of a Senior Economic Official, with expertise in trade matters. The COE shall monitor, review and facilitate implementation of the provisions of this Agreement and undertake any task assigned to it by the SMC. The COE shall submit its report to SMC every six months. The COE will also act as Dispute Settlement Body under this Agreement. The COE shall meet at least once every six months or more often as and when considered necessary by the Contracting States. Each Contracting State shall chair the COE for a period of one year on rotational basis in alphabetical order. The SAARC Secretariat shall provide secretarial support to the SMC and COE in the discharge of their functions. The SMC and COE will adopt their own rules of procedure. The Contracting States shall give special regard to the situation of the Least Developed Contracting States when considering the application of anti-dumping and/or countervailing measures. In this regard, the Contracting States shall provide an opportunity to Least Developed Contracting States for consultations. The Contracting States shall, to the extent practical, favourably consider accepting price undertakings offered by exporters from Least Developed Contracting States. These constructive remedies shall be available until the trade liberalisation programme has been completed by all Contracting States. Greater flexibility in continuation of quantitative or other restrictions provisionally and without discrimination in critical circumstances by the Least Developed Contracting States on imports from other Contracting States. Contracting States shall also consider, where practical, taking direct trade measures with a view to enhancing sustainable exports from Least Developed Contracting States, such as long and medium-term contracts containing import and supply commitments in respect of specific products, buy-back arrangements, state trading operations, and government and public procurement. Special consideration shall be given by Contracting States to requests from Least Developed Contracting States for technical assistance and cooperation arrangements designed to assist them in expanding their trade with other Contracting States and in taking advantage of the potential benefits of SAFTA. A list of possible areas for such technical assistance shall be negotiated by the Contracting States and incorporated in this Agreement as an integral part. The Contracting States recognize that the Least Developed Contracting States may face loss of customs revenue due to the implementation of the Trade Liberalisation Programme under this Agreement. Until alternative domestic arrangements are formulated to address this situation, the Contracting States agree to establish an appropriate mechanism to compensate the Least Developed Contracting States for their loss of customs revenue. This mechanism and its rules and regulations shall be established prior to the commencement of the Trade Liberalisation Programme (TLP). Notwithstanding the potential or actual graduation of Maldives from the status of a Least Developed Country, it shall be accorded in this Agreement and in any subsequent contractual undertakings thereof treatment no less favourable than that provided for the Least Developed Contracting States. Nothing in this Agreement shall be construed to prevent any Contracting State from taking action and adopting measures which it considers necessary for the protection of its national security. articles of artistic, historic and archaeological value. Notwithstanding the provisions of this Agreement, any Contracting State facing serious balance of payments difficulties may suspend provisionally the concessions extended under this Agreement. Any such measure taken pursuant to paragraph 1 of this Article shall be immediately notified to the Committee of Experts. The Committee of Experts shall periodically review the measures taken pursuant to paragraph 1 of this Article. Any Contracting State which takes action pursuant to paragraph 1 of this Article shall afford, upon request from any other Contracting State, adequate opportunities for consultations with a view to preserving the stability of concessions under SAFTA. If no satisfactory adjustment is effected between the Contracting States concerned within 30 days of the beginning of such consultations, to be extended by another 30 days through mutual consent, the matter may be referred to the Committee of Experts. Any such measures taken pursuant to paragraph 1 of this Article shall be phased out soon after the Committee of Experts comes to the conclusion that the balance of payments situation of the Contracting State concerned has improved. If any product, which is the subject of a concession under this Agreement, is imported into the territory of a Contracting State in such a manner or in such quantities as to cause, or threaten to cause, serious injury to producers of like or directly competitive products in the importing Contracting State, the importing Contracting State may, pursuant to an investigation by the competent authorities of that Contracting State conducted in accordance with the provisions set out in this Article, suspend temporarily the concessions granted under the provisions of this Agreement. The examination of the impact on the domestic industry concerned shall include an evaluation of all other relevant economic factors and indices having a bearing on the state of the domestic industry of the product and a causal relationship must be clearly established between “serious injury” and imports from within the SAARC region, to the exclusion of all such other factors. Such suspension shall only be for such time and to the extent as may be necessary to prevent or remedy such injury and in no case, will such suspension be for duration of more than 3 years. No safeguard measure shall be applied again by a Contracting State to the import of a product which has been subject to such a measure during the period of implementation of Trade Liberalization Programme by the Contracting States, for a period of time equal to that during which such measure had been previously applied, provided that the period of non-application is at least two years. Safeguard action under this Article shall be non-discriminatory and applicable to the product imported from all other Contracting States subject to the provisions of paragraph 8 of this Article. When safeguard provisions are used in accordance with this Article, the Contracting State invoking such measures shall immediately notify the exporting Contracting State(s) and the Committee of Experts. In critical circumstances where delay would cause damage which it would be difficult to repair, a Contracting State may take a provisional safeguard measure pursuant to a preliminary determination that there is clear evidence that increased imports have caused or are threatening to cause serious injury. The duration of the provisional measure shall not exceed 200 days, during this period the pertinent requirements of this Article shall be met. Notwithstanding any of the provisions of this Article, safeguard measures under this article shall not be applied against a product originating in a Least Developed Contracting State as long as its share of imports of the product concerned in the importing Contracting State does not exceed 5 per cent, provided Least Developed Contracting States with less than 5% import share collectively account for not more than 15% of total imports of the product concerned. Each Contracting State shall accord sympathetic consideration to and will afford adequate opportunity for consultations regarding representations made by another Contracting State with respect to any matter affecting the operation of this Agreement. The Committee of Experts may, at the request of a Contracting State, consult with any Contracting State in respect of any matter for which it has not been possible to find a satisfactory solution through consultations under above paragraph. Any dispute that may arise among the Contracting States regarding the interpretation and application of the provisions of this Agreement or any instrument adopted within its framework concerning the rights and obligations of the Contracting States will be amicably settled among the parties concerned through a process initiated by a request for bilateral consultations. Any Contracting State may request consultations in accordance with paragraph 1 of this Article with other Contracting State in writing stating the reasons for the request including identification of the measures at issue. All such requests should be notified to the Committee of Experts, through the SAARC Secretariat with an indication of the legal basis for the complaint. If a request for consultations is made pursuant to this Article, the Contracting State to which the request is made shall, unless otherwise mutually agreed, reply to the request within 15 days after the date of its receipt and shall enter into consultations in good faith within a period of no more than 30 days after the date of receipt of the request, with a view to reaching a mutually satisfactory solution. If the Contracting State does not respond within 15 days after the date of receipt of the request, or does not enter into consultations within a period of no more than 30 days, or a period otherwise mutually agreed, after the date of receipt of the request, then the Contracting State that requested the holding of consultations may proceed to request the Committee of Experts to settle the dispute in accordance with working procedures to be drawn up by the Committee. Consultations shall be confidential, and without prejudice to the rights of any Contracting State in any further proceedings. If the consultations fail to settle a dispute within 30 days after the date of receipt of the request for consultations, to be extended by a further period of 30 days through mutual consent, the complaining Contracting State may request the Committee of Experts to settle the dispute. The complaining Contracting State may request the Committee of Experts to settle the dispute during the 60-day period if the consulting Contracting States jointly consider that consultations have failed to settle the dispute. The Committee of Experts shall promptly investigate the matter referred to it and make recommendations on the matter within a period of 60 days from the date of referral. The Committee of Experts may request a specialist from a Contracting State not party to the dispute selected from a panel of specialists to be established by the Committee within one year from the date of entry into force of the Agreement for peer review of the matter referred to it. Such review shall be submitted to the Committee within a period of 30 days from the date of referral of the matter to the specialist. Any Contracting State, which is a party to the dispute, may appeal the recommendations of the Committee of Experts to the SMC. The SMC shall review the matter within the period of 60 days from date of submission of request for appeal. The SMC may uphold, modify or reverse the recommendations of the Committee of Experts. Where the Committee of Experts or SMC concludes that the measure subject to dispute is inconsistent with any of the provisions of this Agreement, it shall recommend that the Contracting State concerned bring the measure into conformity with this Agreement. In addition to its recommendations, the Committee of Experts or SMC may suggest ways in which the Contracting State concerned could implement the recommendations. The Contracting State to which the Committee’s or SMC’s recommendations are addressed shall within 30 days from the date of adoption of the recommendations by the Committee or SMC, inform the Committee of Experts of its intentions regarding implementation of the recommendations. Should the said Contracting State fail to implement the recommendations within 90 days from the date of adoption of the recommendations by the Committee, the Committee of Experts may authorize other interested Contracting States to withdraw concessions having trade effects equivalent to those of the measure in dispute. Any Contracting State may withdraw from this Agreement at any time after its entry into force. Such withdrawal shall be effective on expiry of six months from the date on which a written notice thereof is received by the Secretary-General of SAARC, the depositary of this Agreement. That Contracting State shall simultaneously inform the Committee of Experts of the action it has taken. Following the withdrawal by any Contracting State, the Committee shall meet within 30 days to consider action subsequent to withdrawal. This Agreement shall enter into force on 1 st January 2006 upon completion of formalities, including ratification by all Contracting States and issuance of a notification thereof by the SAARC Secretariat. This Agreement shall supercede the Agreement on SAARC Preferential Trading Arrangement (SAPTA). acceptance with the Secretary General of SAARC by all Contracting States. This Agreement will be deposited with the Secretary General of SAARC, who will promptly furnish a certified copy thereof to each Contracting State.